Once the decision has been made to get a puppy it is easy to get caught up in the emotion and excitement. 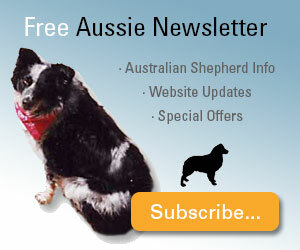 Taking the time to choose the right Australian Shepherd breeders is of vital importance. You will be living with your choice for 10 to 15 years or more. The quality of your dog's life and your enjoyment will be determined by the decisions you make now. Before we get too far into a discussion of choosing a breeder it's important to first confirm that you really want an Australian Shepherd or Miniature Australian Shepherd and learn about the difference between Aussies and Minis. Please take a few minutes to read the following article if you haven't already. Back already! Okay, so you've read the article and you're convinced that the Aussie is perfect for you and you are perfect for an Aussie. Now what? Before you go to a breeder and pick up a new puppy, have you considered getting your new Aussie from a rescue organisation? There are many wonderful dogs who are down on their luck and need loving homes like yours. Please give serious consideration to the possibility of adopting one of these Aussies. So by now you've decided that you really want an Australian Shepherd and have considered the idea of adopting a rescued Aussie. Sometimes adopting an older dog might not suit your needs. Dogs that have been neglected can present unique challenges that you might not feel able to contend with. For those of you who do adopt a homeless Aussie please Contact Us and let us know how you are doing - and send us pics! Taking the time to research Australian Shepherd breeders is one of the best ways you can protect yourself and your family from disappointment. 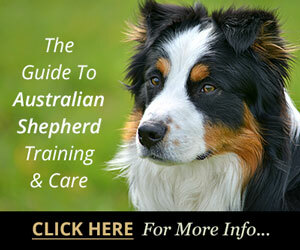 But more than that you are helping to protect the Australian Sheperd breed as a whole. Huntley is a young Red Merle Aussie puppy who loves chasing squirrels in Central Park, sticking his head out of taxi cab windows to feel the wind on his snout, and exploring the Big Apple everyday! 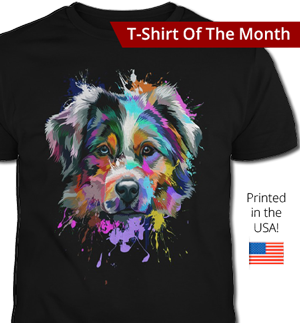 By deciding to buy your puppy only from a reputable Australian Shepherd breeder you are supporting those who really care about the breed and are working to eliminate debilitating genetic problems from their lines. 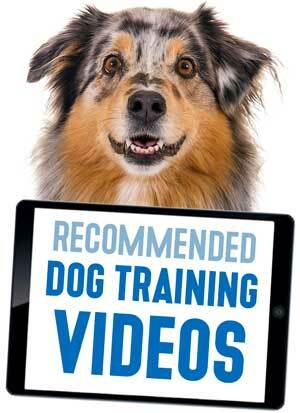 This will also help to ensure that your puppy develops into a healthy adult. Poor health is not only a problem for your dog it is a problem for your pocketbook, unless you have money to burn for unnecessary vet bills that may last a lifetime. Bargain hunting and deciding based on price will land you in trouble. Now is not the time to try to scrimp and save a few bucks. Besides, anything you save by buying from disreputable Australian Shepherd breeders or pet stores will cost you in veterinary bills in the long run. 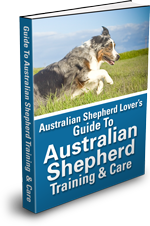 Quality Australian Shepherd breeders love their dogs and love the breed. The best ones will often have waiting lists. So if you really want an Aussie discuss your situation with the breeder and get on their waiting list. You would be lucky to just walk in and find a puppy waiting for you. This is not a spur of the moment decision, it is something you plan for with the expert advise and assistance of a good breeder. Are They In It For The Money, Or Do They Love The Breed? Disreputable Australian Shepherd breeders and pet stores, however, are just in it for the money. They could care less about the dogs themselves or the breed as a whole. As a result they will always try to be sure to have pups on hand or arriving soon, even if it means breeding more often than they should for the dog's health. With these Australian Shepherd breeders price will be of primary importance. Payment will be brought up early in the the conversation and revisited often. They are not so much concerned with who they sell to just so long as they make the sale. 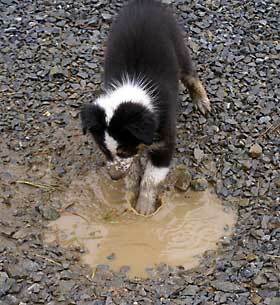 Another tell-tale sign will be that they aren't dedicated to breeding only Australian Shepherds. 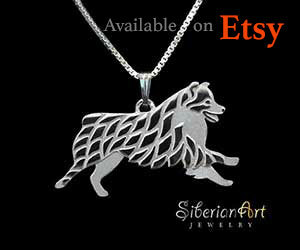 Quality Australian Shepherd breeders generally deal only with Australian Shepherds or perhaps one or two related breeds. Puppy mills won't be so selective because they will want to have whatever the customer is looking for. Don't want an Aussie maybe I can interest you in a Beagle or a Lab. No? How 'bout a Pug. They will sell anything to anyone for any reason, so long as the price is right. A quality breeder on the other hand will likely ask you as many questions as you are asking them. As I said, they have a waiting list, they don't have to sell to you. They love their dogs and their puppies and want to make sure they are going to homes where they will be well taken care of by people who understand what it means to own an Aussie and are willing to commit to them for life. Good Australian Shepherd breeders can demonstrate the pedigree of your puppy and show you medical clearances in writing for both parents, the grandparents and even further back in lineage. Puppies will be checked by a veterinarian to ensure they are healthy. The term "lethal white" is technically inaccurate. Although the puppies have a larger amount of white this syndrome is not lethal in Aussies (unless you consider that this condition is often the reason the pups are culled). The term is borrowed from a genetic anomaly found in Paint Horses called Overo Lethal White Syndrome (OLWS). These foals who are born all white are unable to pass feces and usually die within 72 hours. To learn more about this condition read our in-depth article Homozygous Merle or Double Merle Australian Shepherds Suffer Serious Health Problems. Backyard breeders may not be as knowledgable as they should be about the genetics involved. Breeding incompatible dogs can result in the development of genetic abnormalities some of which can be devastating. For example, breeding two Austalian Shepherds who both have merle markings can result in a genetic defect, referred to as "lethal white," that results in the puppies potentially being born deaf and/or blind. Dealing with a reputable Australian Shepherd breeder will significantly reduce the chances that your dog will develop hereditary diseases such as hip dysplasia, Collie Eye Anomaly, Progressive Retinal Atrophy, autoimmune disorders or idiopathic epilepsy. They will also offer, even insist that puppies that do not meet your expectations or cannot be kept for whatever reason, be returned to them. Ask your prospective breeder what their policy is. Their guarantee will outline whether they offer refund or replacement and under what circumstances. Bad breeders, however, will not likely want to see their dogs again or refund your money no matter what. They operate on a cash-and-carry basis. You bought it - it's your problem. Next! This is why going to a good breeder is so important. 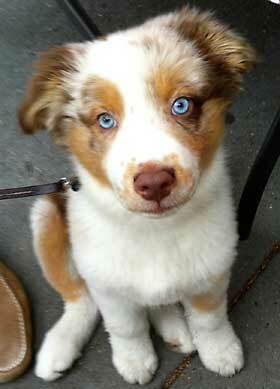 They can show you pedigrees for both parents usually for at least three generations of healthy Aussies. 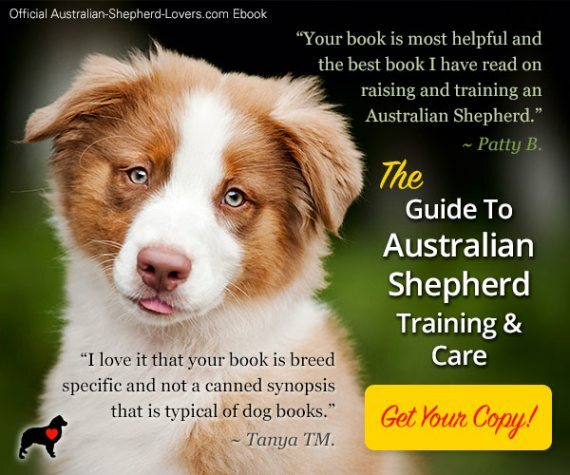 Good breeders are always concerned with improving the health of their dogs and the Australian Shepherd breed as a whole. They will also have certifications from the Orthopedic Foundation for Animals (OFA) demonstrating both sire and dam to be free of hip dysplasia. If your breeder hasn't heard of OFA - run! Find another breeder. This problem can only be determined by x-ray. If the breeder tells you their dogs don't have hip dyspasia because they run and jump without showing any signs, it's not good enough. Good breeders will know this already though. Even better are PennHIP and Ontario Veterinary College in Canada (OVC) evaluations. They are actually more accurate than OFA. PennHIP and OVC both rate the xrays on a sliding scale which gives a true rating! The same is true for eye exams. Quality Australian Shepherd breeders will have their dogs tested by a veterinary opthamologist and certified by the Canine Eye Registration Foundation (CERF). You might have to pay a little more with a good Australian Shepherd breeder, but remember, a lot more has been invested in producing your dog. A good breeder cares about their dogs and about improving the breed. These breeders will want to keep in touch with you to find out how there dogs are developing, to ensure that their temperament and health are good. This helps them know how to modify their breeding strategies as they strive for excellence. It doesn't matter if you are looking for a show dog, working dog or just a loyal companion, you will benefit from the years of experience and expert advise of a reputable breeder. Don't forget to send us pictures and tell us about your experience when you find your perfect pup! A complete, user-friendly guide for puppy parents everywhere. Tons of information, tips and advice to help you raise a happy, healthy puppy. Topics include choosing a puppy, naming your puppy, housebreaking, basic training, crate training, grooming, products, puppy kibble, organic dog food, useful products, health issues, vaccinations and much more! Puppies are our passion - and it shows!